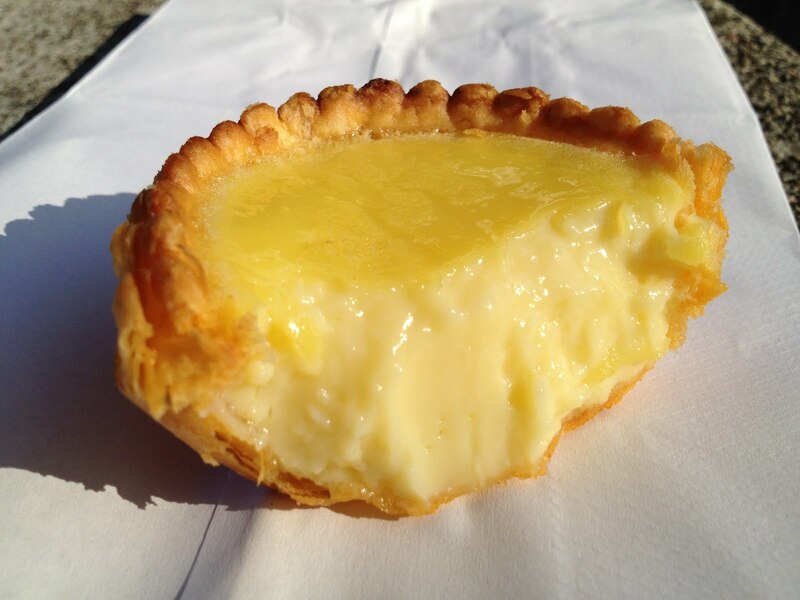 Buttery, flaky tart shell filled with warm, creamy egg custard. It took me 3+ months and four visits to finally get these! The first time I went, there was a festival going on and I waited in line but all they were selling (or I thought) were mooncakes! I got a pineapple mooncake and left but immediately saw that other people were ordering these from the back area. Argh! There was NO way I was going to wait in that long line again! The second couple of times the bakery was closed because they were on vacation. That’s all the sign said! It didn’t say when they were coming back either, lame! Finally, on the fourth trip I was able to snag a couple of these and there wasn’t even a line, score! 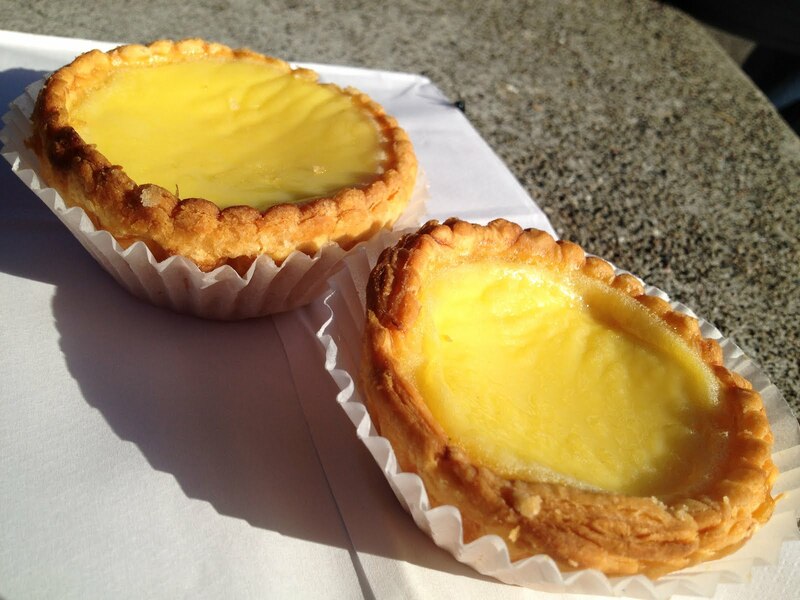 These egg custard tarts were worth it! They are probably the best egg tarts I’ve had! I’m not even a fan of these, but I really like Golden Gate Bakery’s version. The crust is super buttery and flaky, very different from others I’ve tried. And the egg custard filling is amazing! These tarts are larger than most so there’s a LOT of filling but I didn’t mind because it tasted so good. This entry was posted in 7x7 Big Eat SF, Bakery, Golden Gate Bakery and tagged Chinese, custard, dessert, dim sum, egg by vicentesf. Bookmark the permalink. Yum! The crust does look flakey. I usually scoop the filling out of pies and just eat that anyway because I don’t like a lardy, wet crust that’s under the filling. But those DO look good.